Move-in ready, maintenance free home built by EPCON / Newstyle Communities in desirable Courtyards of Harrisburg. Single story, all brick construction with private outdoor courtyard and screened porch with sunset views and wooded privacy. Small community with lovely streetscape and walking trails leading through the woods to nearby park and library. Minutes to shopping, restaurants, UNCC and I-485. 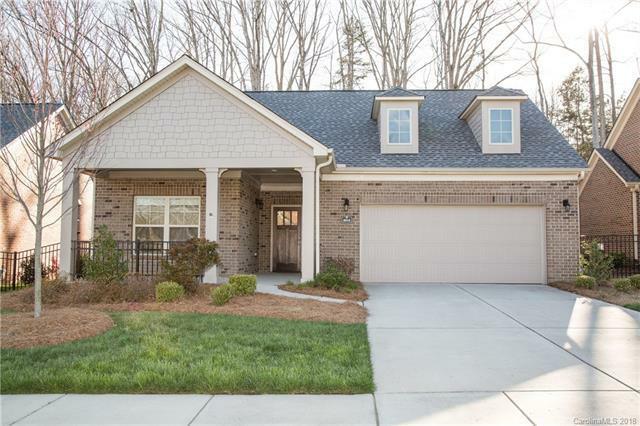 Quality construction features and finishes - transom windows, hardwoods, ceramic tile, granite countertops, stainless steel appliances, 42" cabinets, quality molding and trim work, direct vent gas fireplace with granite surround. Open floor plan with lots of natural light streaming in. Upgraded baths, irrigation system, exterior building & lawn maintenance, plenty of storage space. Excellent value.